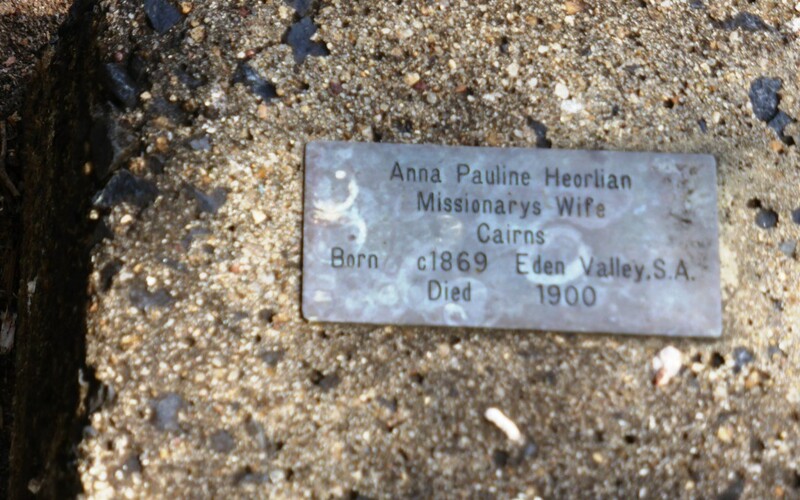 Last month, we were in Cairns for our 25-year wedding anniversary… and we visited this grave. Anna Heinrich married Johann Hoerlein, who was a German missionary in Cooktown (far North Queensland) in the late 1800’s. They had one child. In 1900, Anna became very sick with malaria and she died, aged only 31. Their little boy was only three. It seems such a short time to live. Eight years later, Johann also died. The little boy was left an orphan and he went to live with his relatives. It must have been so hard for him. He never even visited this grave. Years later, the boy married and he had three children of his own. One of them was my mum. I knelt there, by this grave, so thankful… for the lives of those who’ve gone before us, who we find it hard to imagine. I’m thankful for Anna and Johann and the short number of days they lived on this earth. It meant that (amongst many other things) I’m alive, today. It made me think a lot about the impact of all of our lives, or the way we often try and think about our days, or measure the worth of them and our ongoing fruitfulness. How do we know what God might do in another 100 years, in and through the lives of one or more of our great grandchildren, or their friends?